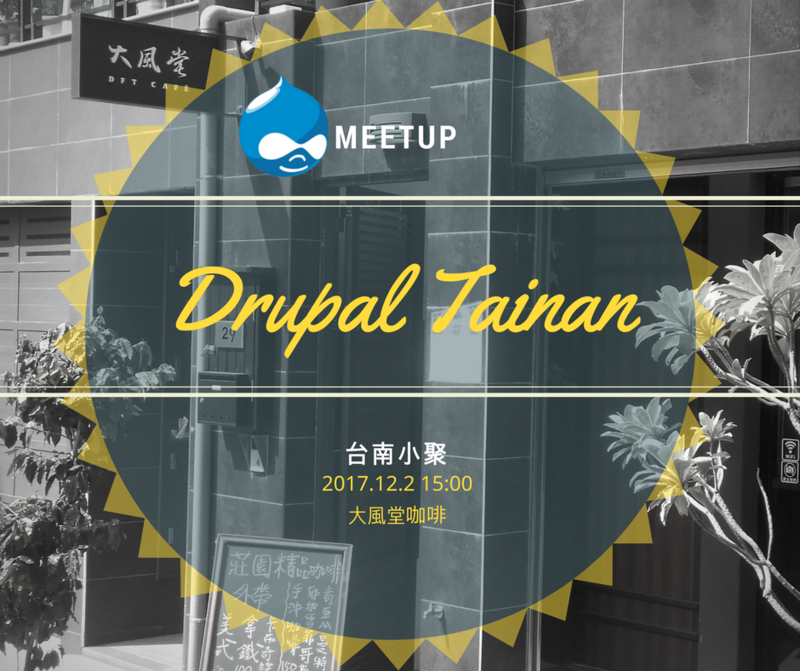 Hi this meeting day happen to be during global drupal training day , Maybe it is possible small introduction course for Drupal in Tainan ? Sure, chauxcedric. Do you want to have a presentation in this meetup? hi tky, I ll be coming from Taichung , I will be happy to do a drupal presentation for beginner and also introduce docker and drupal quickly for the other members. I don t have a projector through. chauxcedric, no worry, I will arrange the projectot. How long would you need to do the present? And can you just help us to signup the global training day on drupal.org? That s great , I think 40 min should be fine , 30 min for presentation and 10 min for questions and answers. if some of you dont speak english I might need somebody helps me to translate , maybe the presentation or the speech. , what do you think ? I will apply for the global training day event online tonight and I ll let you know when it will be done. chauxcedric, I am not familiar with Docker, however I thnk I can do the translation if someone needs. Can't wait the meetup in 12/2! This is quite contagious and I do no want to share diseace with you . I propose to do the presentation through video conference if that is possible. I was thinking to do the training day in Taichung , but I think this meeting would also be a good opportunity to talk about starting some community meeting in Taichung too . http://www.widuu.com/docker/ , might help you get familiar with the term , my presentation relatively will be basic and practical. chauxcedric, I could arrange community in Taichung. What time would you prefer? Maybe the third weekend on December? Hi , Mr Cheng , that would be a great idea , I know lot of people works on Saturday , so Sunday would probably be better. We could promote it on Meetup.org. I lixe near Tonghai University but I am open for the location. Do you have any suggestion ? I've talked with tky, we think could try the community metting every month, odd month in Taichung and even month in Tainan. So, I think we could arrange next month community metting in Taichung. How do you think about this? If you agree too, I suggest the meeting date will be in 1/13 or 1/14 and the location could near Tonghai University.